Our biggest desert in the world is Sahara, the planet's hottest place. Tethys Sea was in place of this desert several hundred years ago. We will discuss how a sea becomes the world's largest desert. A large part of the earth is in the middle of the desert. This part of the Gobi Desert from China to the Chihuahan Desert of America is called "Dessert Belt". The world's largest desert Sahara Located in this "Dessert Belt", it is about 3 times bigger than the whole of India. 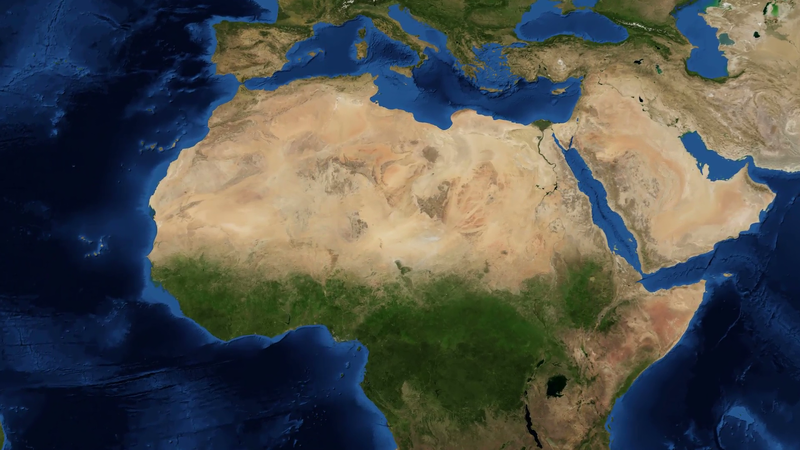 The Sahara Desert extends across 12 countries. Egypt, Morocco, Libya, Mali, Mauritania, Algeria, Chad, Eritrea, Niger, Sudan, Tunisia and Western Sahara-are the countries. The entire Africa continent is located on a tectonic plate of the world. In the past, Tethys Sea was between Africa and Europe. 4 million years ago, due to the dynamic of the tectonic plate, it shifted north and combined Africa and Europe together. As a result, the northern part of Africa gets compressed above the sea surface. Then gradually the water was dissolved and this area became a desert. The name of a part of the Sahara Desert, "Wadi El-Hitan", just 150 km away from Egypt's capital Cairo. In Arabic, "Wadi El-Hitan" means "Valley of the Whale". Nearly 36 million years ago, the fossil fossils of the dormant species of extinct have been found here. The "Wadi El-Hitan" is the biggest proof that Sahara Desert was the sea in the past. So far, the world's largest fossils have been found here. Seeing the Sahara Desert, it seems as if the green color from nature has been removed. But even after being turned into a desert from the sea, the Sahara desert became very alive. After every 20 thousand years the Sahara desert becomes wetlands and grasslands. This is because the world has tilted towards its own orbit slightly northwards after 20 thousand years. As a result, the direction of the Earth's monsoon winds change. And at the same time, due to the abundant rainfall in the Sahara desert, this region becomes green. Last 5 to 7 thousand years ago, people and animals lived in the Sahara region. It is believed that after 15 thousand Sahara desert will become green again. Sahara is the largest sand stack in the world. 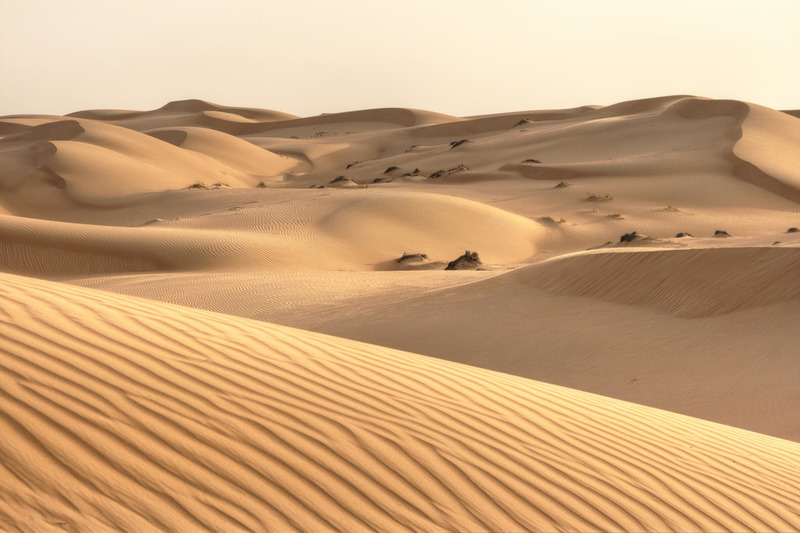 With the sand of this desert, the whole world can be covered by 8 inches thick. 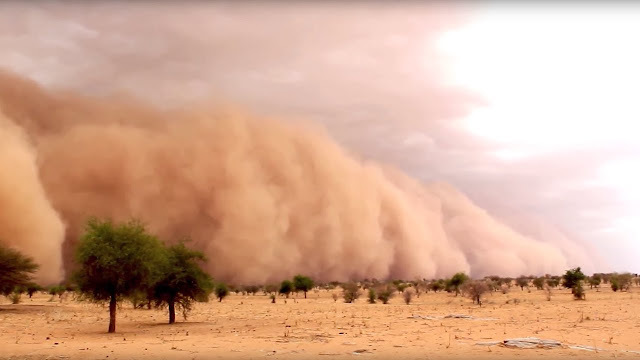 Once the sand storm starts in Sahara, it can last for 4 days. These sand storms produce plenty of sand and shorter mountainous sand mountains. These sand hills can be as high as about 15 raised buildings. The mountains of sand caused by the desert are not permanent. These are transferred to about 50 feet a year. In the Sahara desert of Libya, "Al Azijiya" has recorded the highest temperature of 58 degrees Celsius in the world. Living in this place is one of the warmest places in our world, and it is not possible for a person to settle permanently in Antarctica on the planet's coldest place.